Expert advice on how to prepare both the room and the walls before wallpapering. Includes information on dealing with various types of wall surfaces, from existing wallpaper to plaster. Tape water-resistant protective drop cloths to the floor. Before beginning the job of wallpapering, it’s critically important to prepare both the room and the walls. Wallpapering can be a messy job, so it’s important to prepare and protect the room beforehand. In addition, because wallpapering requires precise work and a steady pace, you will want to have all the necessary tools and supplies ready. The walls must be flat, smooth, and able to accept wallpaper to ensure a successful result. Start by taking all lightweight objects and furniture out of the room. Drape drop cloths over anything remaining and then lay drop cloths on the floor. To catch water that drips down the walls, lay towels over the baseboards. Do not use newspapers as protection anywhere because the ink can transfer onto other surfaces if they get wet. Next, take down everything that is on the walls, including rods for window coverings. 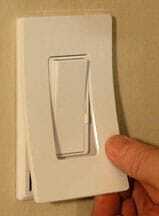 It helps to remove all electrical face plates and lighting fixtures, but don’t do this without first turning off the power to those circuits and/or protecting against the possibility of touching live wires. Remove the faceplates from switches and outlets (only if you can turn off the power them or protect against touching live wires). 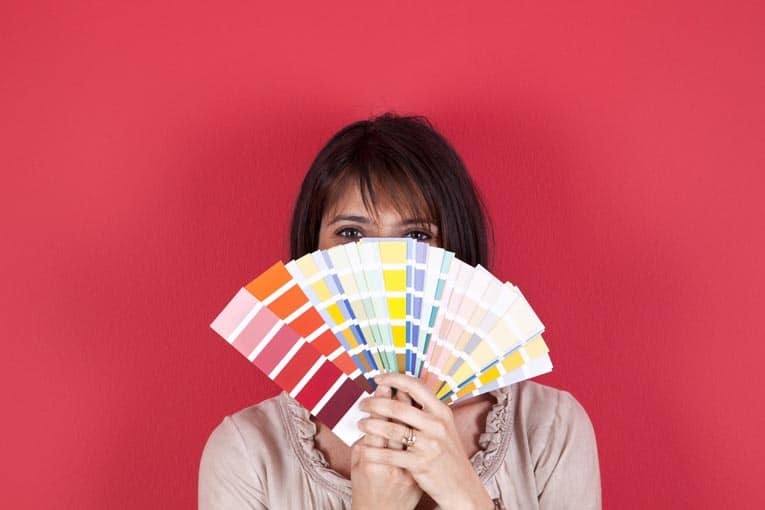 If you have painted any part of the room, such as trim, make sure it is thoroughly dry before starting to wallpaper. Now that the room is prepared, move in your tools (see Wallpapering Tools & Supplies) and equipment—a ladder, sander or sanding block, 50-grit sandpaper, plastic bags, a bucket, sponges, and trisodium phosphate (TSP) or a TSP substitute, ammonia, or bleach. If the walls are new construction, you may also need a primer sealer. If you are not hanging pre-pasted wallpaper, keep in mind that you will need different adhesives for the walls, seams, and any borders. The types you will need depend on the paper you have chosen, so ask your wallpaper dealer for the manufacturer’s recommendations. Adhesive that has been premixed is easier to work with than adhesive you have to mix yourself. If you do choose to use dry paste, make sure you mix it with distilled water only. In addition, choose adhesives that are clay-based rather than cellulose- or wheat-based. Though they are a bit more difficult to work with, they provide the best adhesion. 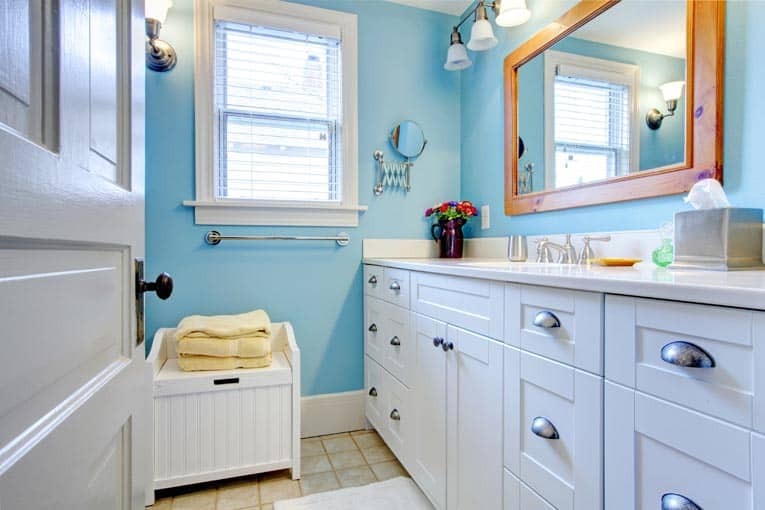 Most surfaces are easier to prepare than previously papered walls, but any irregular surface needs special attention. Scrape off loose paint and lightly sand painted walls until they are smooth, and then dust them off. De-gloss the walls by using fine sandpaper or an extra-strong solution of TSP (or a non-phosphate substitute) or ammonia and water. Repair and wash the walls (see How to Repair Drywall or How to Repair Plaster Walls & Ceilings). Once the surface is dry, apply primer sealer unless you know the paint is alkyd. If you want to re-wallpaper a wall, far and away the best option is to remove the old paper. For more about how to do this, please see How to Remove Old Wallpaper. 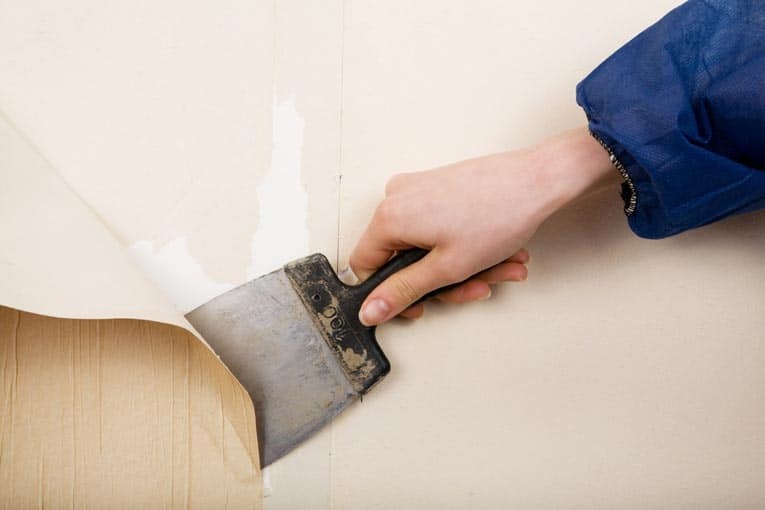 If you don’t want to go to the trouble, or the old paper is difficult to remove, you can attempt wallpapering over the top if the old paper is a single, smooth layer. Be aware, however, that several mishaps can occur, so it is best to test the new paper in an inconspicuous location before tackling the whole wall. Score the old wallpaper before applying new. A lot of your success will depend on the kind of new paper you choose and the nature of your old paper, so consult with your retailer before making any purchase. For example, the old paper may come loose when it is moistened with the paste for the new paper, making it impossible to achieve a smooth surface. 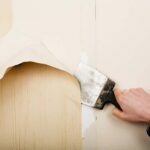 It’s easy to remove old, loose wallpaper with a large putty knife. Or, with the moisture from the paste, the ink from the old paper may bleed through, indicating the need for a primer sealer. If the old paper is vinyl, it may not accept the adhesive for the new paper; in this case, first apply a vinyl-to-vinyl primer, which will not only ensure adhesion of the new paper but also serve as a mildewcide. If you have tested a small area and are confident of your ultimate results, start by preparing the wall. 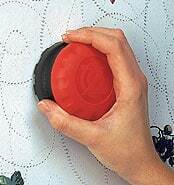 Re-paste any loose areas, sand any rough spots and all seams, and then spackle any dents or nicks. Using ammonia and water or a solution of TSP (or a non-phosphate alternative), wash the wall from bottom to top and allow it to dry overnight. If you are not sure whether stains are from mildew, try to wash them with a solution of detergent and water. If this is ineffective, the stains are likely mildew. Wearing eye protection and rubber gloves, sponge on a solution of half bleach and half water and then a solution of TSP (or a non-phosphate substitute) and water, and rinse well. Let the surface dry completely—at least 24 hours. Then apply a coat of alkyd primer sealer mixed with a fungicide additive. Before papering, you will have to wait until the new plaster has cured thoroughly—this can take between one and four months. Consult with your contractor for the recommended time. Neutralize the new plaster by washing it with vinegar, and then apply two coats of high-quality primer sealer. 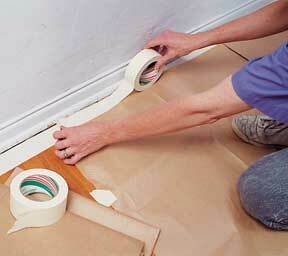 All wallboard joints should be taped, spackled, sanded, and then dusted with a short-napped soft brush. 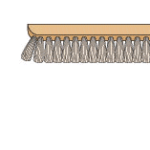 Remove the last particles of dust with a damp sponge. Finally, apply drywall primer-sealer. Cinderblock, concrete, wood paneling, textured plaster, and textured paint are uneven surfaces that will have to be smoothed before applying any wallpaper. For light to moderate unevenness, or for a small area, apply non-shrinking spackle or wallboard taping compound. When the wall is dry, sand the area and apply primer sealer. You can also smooth such a surface by hanging liner paper, available where you buy wallpaper. If a surface is severely uneven, it should be plastered over.